Following a string of key announcements in last month’s budget, its fair to say that the wheels truly are in motion for the future of British transport. Not just wishful thinking, the UK travel tech scene has also seen a surge in funding in recent months – mirroring the increased international demand for innovation in our cars and on our roads. Pledging to invest a total of £540m into electric cars, including £400m to build more electric car charging points, the government’s intentions are certainly clear. Indeed, with Phillip Hammond announcing that tech businesses will be able to test autonomous cars on public roads by 2021, the race is on for corporate and start-ups alike to get their offering road-ready. However, with increased running costs and stricter regulations on who can get behind the wheel, the idea of owning a car just isn’t an option for everyone anymore. So, if you’re crippled by congestion charges or just haven’t passed your test yet, are you missing out on the future of intelligent transport? Well, think again, because thanks to the collective efforts of some of the UK’s most innovative start-ups, scanning the bus timetable or waiting for the cheapest possible MegaBus may well be a thing of the past, as public transport routes will begin to work around people, not the other way round. Raising £1.2m worth of seed funding just last month, after being backed by, among others, a Tlf board member, Zeelo uses AI-infused tech to offer an on-demand coach service. Already working with football clubs such as Aston Villa, Man City and Wolves, Zeelo uses big data and machine learning to understand where surges in travel demand aren’t met by existing transport options – and provides a direct service, which it claims, cuts travel times by up to 40%. In the same boat, or bus as it may be, travel tech start-up Sn-ap uses a crowdsourced online booking system to connect travelers making similar trips with local coach operators. Founded in April 2016 by former Chiltern Railways commercial director Thomas Ableman, and having raised £2m just last September, the London-based start-up aims to offer an “anywhere to anywhere, anytime” service. Only running a bus if there is enough demand, and to help keep prices as low as possible, all suggested trips are direct, without detours or drop-offs on the way. With the UK’s roads the most congested in Europe, according to a major study, the rise of traffic-calming tech is another example of an intelligent, innovative response to a transport issue, with UK start-ups at the forefront of this change to battle gridlock. Helping to ease traffic and ensure safer driving conditions for driverless cars and cyclists alike, Vivacity Labs creates sensors with built-in machine learning – which help identify individual road users and manage traffic accordingly. By use of a camera, the sensors will be able to give green-light priority to cyclists, buses or ambulances, help make lorry drivers aware of other road-users, and alert driverless cars of crossing pedestrians. Having raised £3m in funding, which was made up of a £1.7m project grant from Innovate UK and £1.6m from Tracsis, Downing Ventures and the London Co-Investment Fund, the London-based start-up has already deployed 2,500 sensors across 50 square miles of Milton Keynes – with a larger roll-out expected over the coming years. 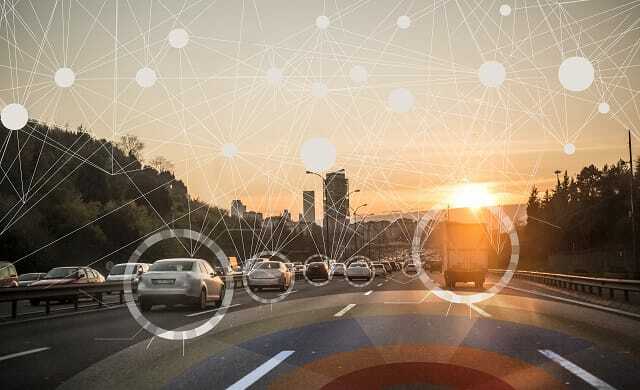 While our faithful readers will be more than familiar with how electric vehicles and driverless cars will operate, the rise of artificial intelligence and machine learning now means that even the smallest start-up can help shape the future of transport on UK roads. And while waiting at a cold bus stop for the number 274 isn’t everyone’s preferred mode of transport, tightened legislation now means that cheap taxi apps like Uber could soon be a thing of the past – increasing the need for more flexible forms of public transport. Just this week, York became the third UK city to give Uber the red light – refusing to grant the ride-hailing app a license, following similar moves by both London and Sheffield in recent times. “We are just at the beginning of what advances in AI and machine learning can do to improve how people move around the country. “When it comes to shared transport like coach services, the major disruption in the market comes from exploiting the gap between public transit and timetabled transport options. “As these technologies evolve and become more powerful, we can expect to see their effects spreading out into new areas like autonomous vehicles and connecting up disparate services more efficiently. So, is the future of British transport really in the disruption of our public transport service?